MKV video format is quite new among the most popular video formats in the present time. MKV is invented to compete with AVI and MP4 and other formats. MKV is provided with capacity of holding uncountable videos, audios, pictures and movies. Additionally, MKV is used less in compare of AVI and MP4. MKV is basically supported on the windows OS. So, if you are using on DVD players, you need to convert MKV format into DVD format. KeepVid Converter is there to make you able to convert mkv to dvd in a single click. KeepVid is available in both versions online and desktop, so you can use any of both according to your requirements. KeepVid Online Video Converter allows user to convert mkv to dvd online. Any user can easily convert MKV videos into DVD format easily visiting official website of KeepVid. The official website of keepVid is user- friendly so anyone can easily navigate it and the video converter of this site is easy to use. 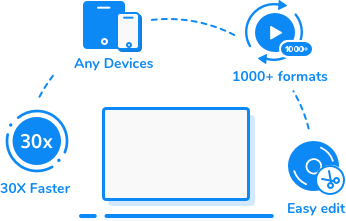 You can simply add the video files to the converter and select the format option according to your requirement to convert the files that are compatible to your device. KeepVid online converter provides you with high standard video and audio quality. Additionally, this video converter allows you to search video online and transform them into format that is compatible to your device. If you are one of the people who need to download and convert videos regularly then downloading KeepVid Video Converter on your desktop or mobile device can be the best option as it allows you to convert video from mkv to dvd any time easily without worrying about net service. Additionally, KeepVid Video Converter provides you with some editing features such as changing font style, font size and color. You can also trim or resize videos according to your needs.  KeepVid allows users to convert videos mkv to dvd or to 1000 or plus video and audio formats. 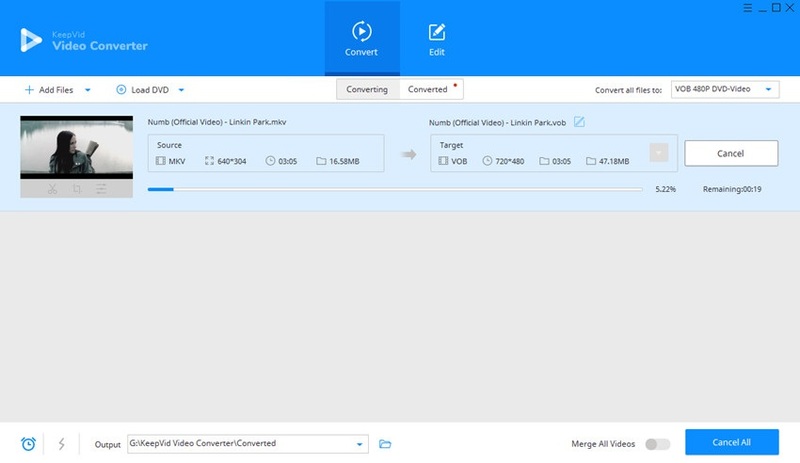 KeepVid converts videos 30x faster than other video converter. HD videos are fully supported by this video converter. KeepVid is compatible with different types of videos that boast of being hi-tech. This video converter is providing with different mode for video conversion such single, batch an merge, you can choose depending over your convenience. 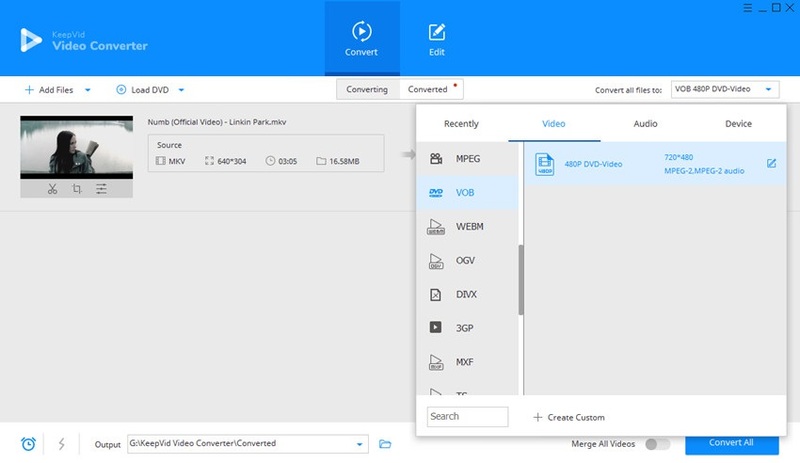 Step 1 – Start KeepVid Video Converter and add MKV file from your computer. Step 2 – Click the menu icon at the upper right side and choose DVD-supported video format as an output. Step 3 – Click Convert button to start converting MKV to DVD video. Before you transform video from mkv to dvd through keepVid you need to download and install it on your device. You need to launch it and click on the convert option and should choose the “Add Files” and select a file type such as video audio, HD etc. then click on ‘Open’ option to add the file for conversion. Once you added file to converter and selected the file type. At the right top corner, you will find the option, ‘convert files to’. Under this menu, you will find a number of formats and select DVD for your video. DVD stands for digital versatile disc. DVD Format is a type of video format that can store a huge variety of video data. Although it has capacity to store huge amount of videos but to store huge quantity of video data you need to video compression. MPEG- format discs are considered as standard DVD.AC- 3 or PCM audio discs are most used DVD formats.